THE PIPES have stopped their skirl. The flags are at half mast, unruffled by a gust. 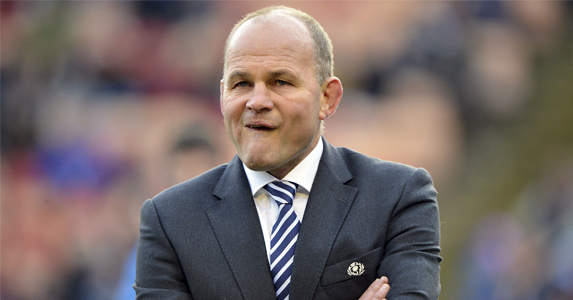 Andy Robinson has abdicated his post at the top of Scotland’s game and few can muster the spirit to pass him on with more than a round of applause. Robinson had climbed out of the ashes of his international coaching career with England and taken the trip up north, looking for something different. No doubt haunted by the ghost of selection issues past and too assured of his unquestionable talents to take a step back into the English Premiership, he arrived in Edinburgh. All at once athletes were gurning and gushing with praise. He was a hard task master, the Edinburgh players would say, but his clarity of vision was inspiring. He coached individuals within a larger setting; at pace; with lucidity. His precise work at breakdowns and with offloads complemented Edinburgh Rugby handsomely. He was very quickly pulled up a rank. In truth it was preordained somewhere – perhaps in the stars – that he would return to international rugby. He was too forthright and too knowledgeable to be scrambling around the Celtic League, it was agreed. 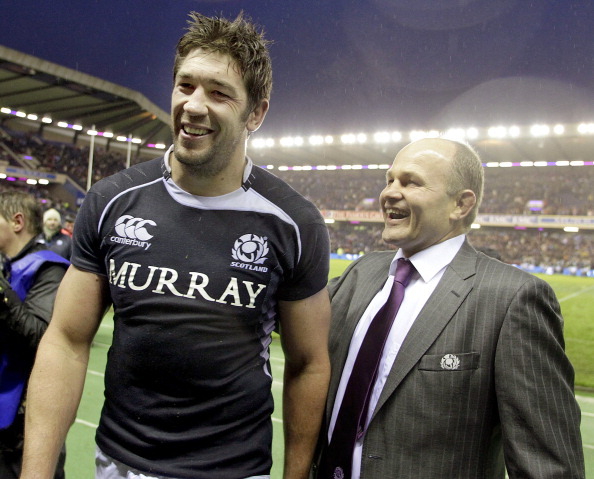 He already had the pulpit at Murrayfield, but he needed a bigger congregation. So he was handed a nation and told to get preaching. Passion is something Robinson has always had, and always will have. His national allegiances were questioned at first, but within three conference’s time he had dispelled any preposterous notions of not being Scottish enough. He was rugby enough. He was hard enough to take a public skelping when Scotland underperformed again. So he set about tearing down walls at EH12, pulling coaches up around him and all the while asking questions about structure and how his vision met with those clutching the purse strings. Some walls within Murrayfield bear heavy loads, though. Robinson’s famously astute brain was turned on both pro sides, rather than one, and he played a hand in recruitment and message. Some appointments within the Union were made after the coach and his superiors had consultations. Not often were roles even advertised. He was decisive. However, on the field with Scotland he could not get in there and do it himself. For this very reason talk of Robinson will always have the line ‘good coach’ being immediately followed by parenthesis of some sort. In his leaving press release as Head Coach, Robinson said that he left the Scotland team in a better position than he found it. To an extent this is true, as the forensic approach to training and analysis and the constant search for new attacking players has improved the team. It was in major tournaments that he flattered to deceive, though. The vibrant, calculating coach in him oversaw some landmark victories. Indeed, Robinson had the best record against Southern Hemisphere sides when he left, having masterminded victories against Australia and South Africa and against Argentina in a series in South America. He just could not get his limited playing resources to produce in the Six Nations or the World Cup. Famous victories were built on defence, hustle and free-spirited offloads. When it came to games of meaning and bouts for trophies, though, the old Andy adage of ‘build a score’ came in to play and his players became conservative and obtuse with that remit. They could not match Robinson’s demands and this led to crossfield kicks in the World Cup, lost balls, intercepts and charge downs against Europe’s best. Robinson departs as a fine coach and a good man: a fine coach and good man who won half his games against southern sides and who was only victorious in two Six Nations matches. He should be politely thanked before some of his walls are torn down or rebuilt amidst the clamour for better times.